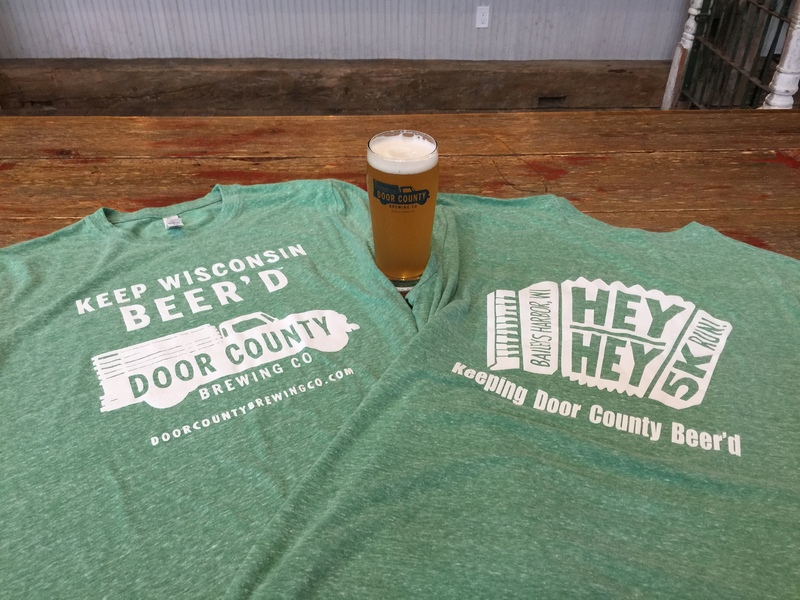 Each participant will receive a special Door County Brewing Co. Hey Hey 5k mason jar pint glass, as well as a Hey Hey 5k shirt. Oh, and that pint glass includes a first fill free at the taproom! On-site registration will be available Saturday morning at 7 am, and runners will also be able to register at the taproom Friday night, Sept. 27, from 6 – 9 pm.